Most of my drills are still hand drawn simply because I'm never at the computer when I think about them. I'm sitting watching a game or a practice and see something I need to address or come up with a way to really reinforce a concept. Another reason I never switched to a computer based diagram was I because I could never find one that was easy to use and didn't take a lot of time. 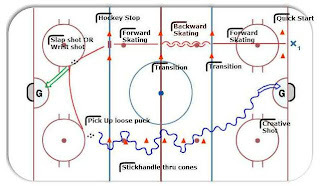 That all changed when M2Hockey and HockeyShare.com introduced the Drill Diagrammer. This web based software does it all for me. I don't have to install anything and I can access it from anywhere. I find it very simple to use and if I do stumble over something, the help videos or a quick email point me in the right direction. I like that fact I can share out my drills to the public, or keep them private. 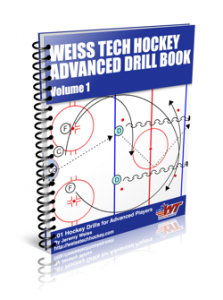 There are many options to get your drills once you are done and I can even build a practice plan from all my shared drills. You'll find more options than you need and some will even make you think about adding additional steps to your drills. 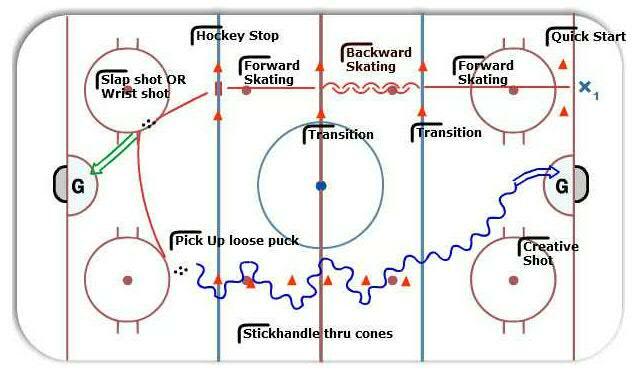 This is a drill I drew up for our recent player evaluations. If you are looking for a software to effortlessly draw up drills, be sure to check them out.